Grew Up… in a kingdom of wealth of beauty. In the kingdom lived every manner of strange and wonderful creature that needed neither king nor queen. It was a kingdom built on mutual trust between its citizens. It was here that Maleficent grew up as a fairy in the woods. Living… in a kingdom that’s been greatly changed since she was young. As a child, Maleficent fell in love with a human peasant named Stefan, who tried to invade the Moors as an adult. He went so far as to try and kill her, and upon failing, cut off her wings as proof of her death. After he was crowned, she had no choice but to proclaim herself the queen of the Moors. Profession… ruler of the Moors, Mistress of All Evil, who coldly rules over her dark kingdom from a distance. After not being invited to the Princess’s royal christening, she crashes the ceremony and curses the infant Princess Aurora to "prick her finger on the spindle of a spinning wheel and die" before the end of her sixteenth birthday. It is not the role she born to play, but one she assumed out of pain and a thirst for vengeance. Interests… Princess Aurora, ironically enough. While Aurora is the daughter of the man who ruined her life, Maleficent can’t help but care about her well being. Seeing how incompetent her pixie guardians are, Maleficent decides to watch over the princess for afar. 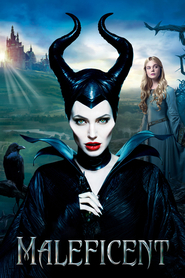 As the princess gets older, she even starts to look at Maleficent as a fairy godmother. It all makes the situation that much harder for Maleficent. Challenge… reconciling her past, the curse she invoked on Aurora, and her growing fondness for the princess. She placed the curse knowing that no power on Earth could change it. 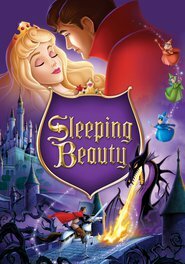 Now, as she watches Princess Aurora fall in love with Prince Phillip, the knowledge of what’s ahead fills her with guilt. Now if there was only a way to keep the princess safe from spindles. Personality… evil, but in self-defense. As a child she was a good-hearted protector to the Moors. After being betrayed by her first and only love, Maleficent’s heart turned black and filled with hate. She acted out of vengeance and turned away from the world. Unfortunately for her, she was not immune to guilt or regret. Maleficent's popularity ranking on CharacTour is #22 out of 5,000+ characters. See our top-ranked characters and read their profiles.